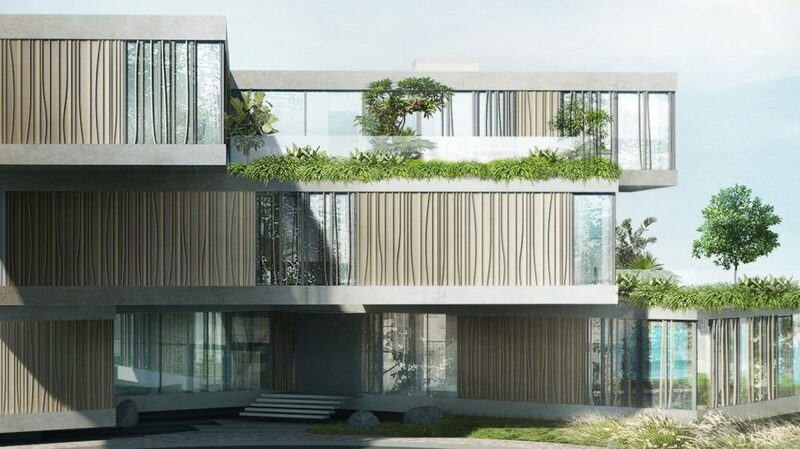 Located along the prominent Do Duc Duc Street and adjacent to the Marriott Hotel, the stacked villas are attractive and complex in their intricate configurations. Their porous agglomeration react to the different conditions of the site, each space telling its own narrative with multiple panoramas of the lake. The volumes are wrapped with textured screens, which are woven into a lattice of differing lengths and diameters; an abstract feature connecting with the surrounding nature. The screens serve several functions; firstly, as a porous layer protecting the rooms from the exterior and sun’s glare while allowing for filtered daylight and ventilation. Secondly, they mediates the privacy of the space by adjusting the intensity of its members. Lastly, they double up as a safety barrier for the windows. The play on lines, edges and shadows is a contract to the simplicity of the surrounding walls. 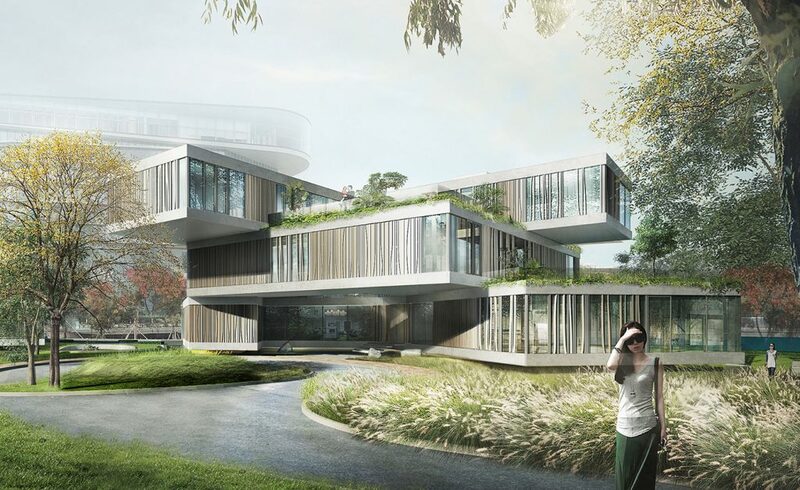 The smart massing strategy allows for perfect cross and natural ventilation of each of the volumes. The landscaping scheme creates different examples around the two villas. 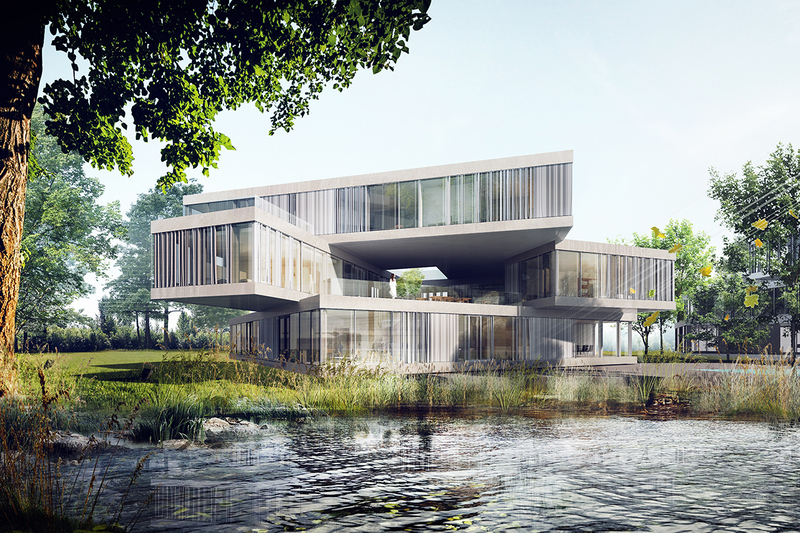 The play of trees screens, filters, limits and boundaries allows an interaction with the existing eco system of the lake as the two villas become part of the whole story.